The jazz quartet «Lush Life» has recorded their first album in Oslo´s Rainbow Studio. The four members of the band have united in a shared interest of jazz and pop music of elegance, style and a wink in the eye. 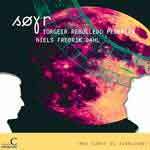 Rune says about the album: "This recording consists of Norwegian folk tunes, arranged and performed by Jan Olav and myself. The material is gathered from written sources as well as from various musical collaborations with folk musicians throughout the years." "Du og jeg og vi 2-3-4" er en groovy trio som elsker å leke med rytmer og improvisasjon. Etter vi hadde spilt noen konserter skjønte vi hvor gøy og utfordrende det var å skrive og spille musikk for barn. Du får ikke et ærligere publikum, på godt og vondt. Vi liker det så innmari godt, og bestemte oss for å spille inn låtene på plate. Igjennom plata får man møtt mange ulike karakterer og sjangre, f.eks en ballade om en Regnsky som ikke føler seg så velkommen, en boogie-låt om fising, en punke-låt om Rotta Ronny som er lei av kebab, og Fru Rosenstrøm som er en nabodame litt utenom det vanlige - hun planlegger nemlig å rane banken!" 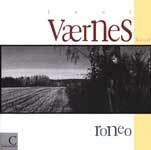 After ten years - the comeback album of one of Europe's greatest drummers. 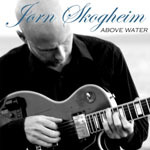 Featuring Jon Eberson on guitars, Steinar S. Nickelsen on organ and vocalist Sidsel Endresen. Improvised electric jazz by four strong individuals. 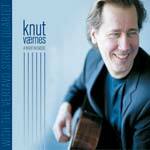 Compositions by the guitarist, Knut Vaernes, arranged by Morten Halle and Eivind Buene for acoustic guitar and string quartet. 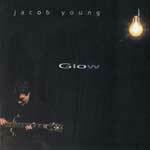 2nd release from this virtuoso guitarist. 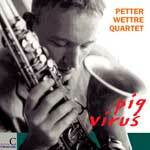 With among others: saxophonists Bendik Hofseth and Trygve Seim. 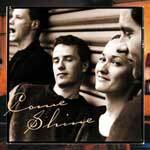 This celebrates the 25th anniversary as an ensemble and their 3rd release on Curlin Legs. The band has developed into a composers workshop, mixing all kinds of styles, combined with the lyrics of well-known Norwegian poets. 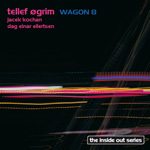 Second release from award-winning pianist and composer Vigleik. 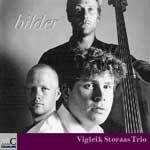 Further exploring the acoustic landscape of the classic trio format with virtuoso co-musicians Johannes Eick on bass and Per Oddvar Johansen on drums. 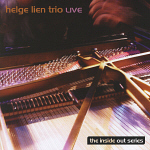 Classic jazz trio of international format playing modern jazz. 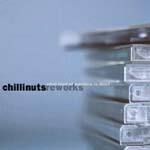 Inspired by Bill Evans, Keith Jarret, Monk etc. 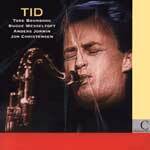 Original compositions by the very talented saxophone player, Torbjorn Sletta Jacobsen. 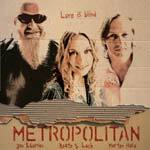 Thoroughly composed jazz with lyrics, sung and read by vocalist and two poets. A new release with the legendary singer, Radka Toneff. Consisting of recordings made by the Norw. 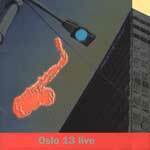 Broadcasting Corp. in 1980, Danis Radio in 1982 and live at the KOngsberg International Jazzfestival in 1977. Beauty, timelessness and emotions are not easy to describe. But words like: melodic, mysterious and magic are better keywords for describing this fantasic debut-album by an extremely talented musician and composer. CD of the year! 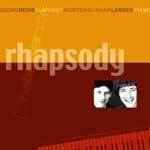 Singer Live M. roggen excels in this gem of a release. Standards arranged by pianist Erlend Skomsvoll has made it a favourite for both the critics and audience. One of Curling Legs´ bestsellers. A must for any lover of jazz. Standards like you have never heard them before. 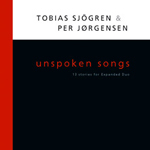 Worldwide favourites in arrangements penned by Erlend Skomsvoll. 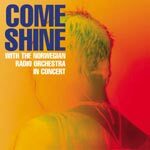 Come Shine backed by the Norwegian Radio Orchestra delivers one of this years most remarkable albums. På den tredje utgivelsen i eget navn står komposisjonene og arrangementene til Lars Andreas Haug i sentrum. Musikerne i bandet har han samarbeidet tett med siden 90-tallet. Single release from the album Totally. Modern jazz. New sounds and colors on the guitar. 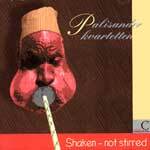 A broad spectre of ethnic percussion sounds. Live Maria Roggen and her fellow musicians have been in Studio La Buisonne in France and recorded their second album, 'Do do that voodoo'. The result is an outstanding follow-up to their fantastic debut album. 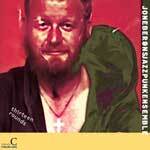 11 original composisions by veteran drummern Espen Rud. 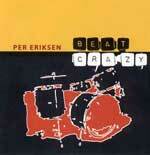 Performed by Espen Rud and his 7- piece band. The latest release from the highly acclaimed singer. This time playing the piano herself and assisted by Sjur Miljeteig on trumpet. Slow Motion Quintet participates on 3 songs. The 2nd release from this breathtaking duo. 5 years of internatial touring has brought them up among the most original artist in the world, stunning the audience as well as the critics with their beautyful and expressionistic music. Modern jazz played by world-known artists. Som akkompagnement til den bitende frosten slipper artisten Arne Olav Hageberg singelen «Firogtjue kalde» førstkommende fredag 1 Februar. 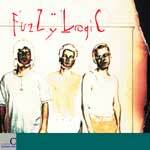 Ultrahip, retrospective technojazz by master trio. Synths, samples, electric and acoustic music. 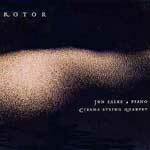 Truly original pianist from Russia renewing the classic trio fromat with suberb composistions and playing. With bassist Carl Morten Iversen and drummer Audun Kleive she is exploring really new ground. 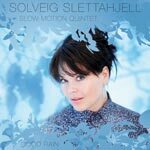 A great successor and a giant artistic leap for Solveig and her band, Slow Motion Quintet. "konserten gjekk veldig fint og alle i bandet var einige om at me hadde eit ynskje om å spele dette på fleire festivalar. Vi fekk tilbud om å framføra det på Vossajazz 2016 og bestemte oss for å ta opp konserten ”Live”. Opptaket vart såpass bra at me bestemte oss for å gje det ut i sin heilhet. og det er med stolthet me i dag gjer det ut så fleire lyttarar kan ta del i opplevinga." The famous Norwegian actor and comedian, Grethe Kausland, passed away last year. The album is quite simply called Jazz Album 2018 and is due March 2nd, 2018. 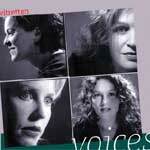 Another superb album from the acapella group. This time featuring the poet Rebolledo Pedersen. Modern improvisation, played with spirit and passion by some of the absolutely best jazz players around. 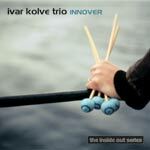 This quartet is a new project and the third album release from guitarist Jostein Gulbrandsen. Originally from Namsos, Norway, Gulbrandsen has been based in New York since 2001. 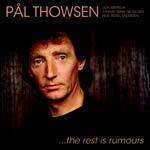 All the 8 songs are written by Gulbrandsen and are ranging from hard-swinging up tempo’s to calm 3⁄4 ballads. 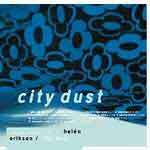 You can still find traces of Gulbrandsen’s Scandinavian background in his music and improvisations, but there is also an element from the hectic and urban New York-lifestyle. During the last couple of years, Gulbrandsen has played numerous trio gigs with Mike McGuirk and Mark Ferber and has also worked with Japanese pianist Megumi Yonezawa in several other projects. She is adding another dimension to the group with her sophisticated and harmonically complex playing style. 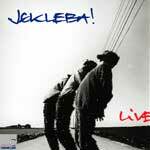 Very original and inspired live - debut by a true master on the saxophone and a rock steady rythmsection. Twisted jazz. 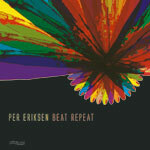 Drummer and composer Espen Rud with a stunning new album. 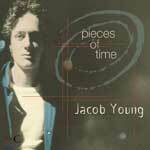 Innovative compostions, a great mini-ensemble and superb interplay instantly makes this recording a true classic. All you have to do is to check this album out! 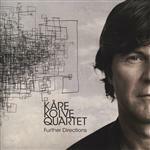 "Morning News of the Woods"
The great saxophonist, Kåre Kolve, with his Quartet releases his long overdue debutalbum: My Direction. 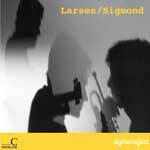 A stunning debut from two of the most prominent in jazz, totally defining their own style. 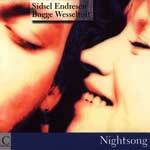 Noone sings better than Endresen and Bugge's emotional depths in his pianoplaying is a must for music lovers. 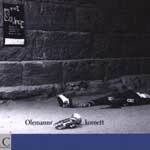 Show their respect for the great Ornette Coleman. The amazing guitarist and composer with compositions for symphony orchestra and trio. Very impressive and fantastic interplay. People and places is the debut album of bassist Morten Stai. The music is composed for different people and places that the composer has a special relation to. Throughout the album we are taken from the high Norwegian mountains to the dry deserts of the Middle East. Stai plays with a quartet of musicians that he met at the Jazz conservatory in Trondheim, Norway. Morten Stai - double bass. 5 great songs from singer/songwriter Siv Marit. Great programming, heavy synths, great singing! Available in all streaming and download services. 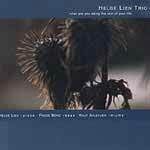 Tri o trang consists of pianist Helge Lien, tubaist Lars Andreas Haug nad Torben Snekkestad on sax. 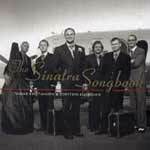 They asked veteran master-guitarist Jon Eberson to compose, arrange and play with them on this fantasitc endeavour. 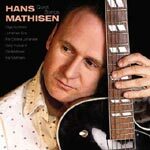 The great guitarist Hans Mathisen with his debut - cd. 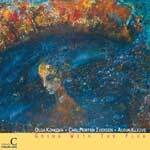 With Olga Konkova (piano), Gary Husband (drums) and many others. 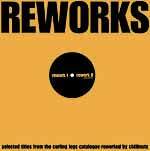 REWORKS; What kind of machine is this? We are very proud of this project. 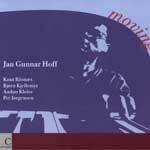 Ragtime pianist Morten Gunnar Larsen and clarinet virtuoso Georg Reiss offers a journey through 20th century jazz. 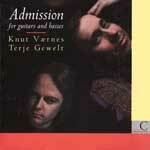 Compostions by Gershwin, Piazolla and Weill and more are beatifully treated by two masters of their instruments. Curling Legs is incredibly proud to announce the signing of singer and composer Live Foyn Friis for the release of “RUNNING HEART”, September 19th. 2014.
? 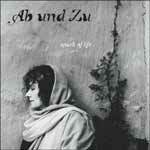 ?- Live Foyn Friis, vocals & effects? 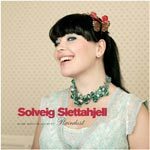 They are based in Denmark, a country that warmly has embraced Live and her music as her debut album, Joy Visible was nominated to the Danish Music Awards 2012 for Best Vocal Jazz Album of the year. Live also won the category “The Years Young Jazz Composer in Denmark 2012” and “Denmark’s New Jazz Star” in 2012! 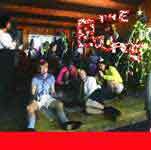 ?The music is truly original and can be characterized as: playful, airy, lovely and very accessible. She fuses different styles like jazz, pop, electronica, and improvisations into her totally original blend. Something that has been apreciated by musicians like John Scofield, Brian Blade and most of the European jazz/poporiented communities.? Arne Olav Hageberg sin songpoesi flyt fram på ei mjuk bølgje av folketoneinspirert fingerspel, duvande melodiar og akustiske klangar. 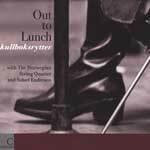 På si andre plate presenterer songar, låtskrivar og gitarist Arne Olav Hageberg eigne melodiar i akustisk tapping, med meiningssterke og poetiske tekstar. Med seg har han nokre av landets mest erfarne musikarar. 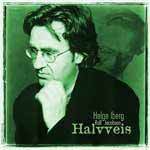 Legg til Hageberg sitt eige elegante og originale gitarspel, og du har eit album som kan koma til å oppleva mykje åleinetid i cd-skuffa. A saxophone quartet for the 90s. From lullabies and marching bands to freeform improvisations. 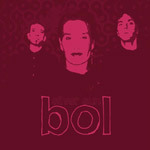 bol is an energetic, powerful and improvising live band. Their music is a hybrid og genres, definately rooted in our own town. They are experimenting with the blend of acoustic and electric, improvised loops, noise and effects. An emotional and strong album by these grteat veterans! 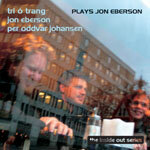 2nd release from this creative duo: Jon Eberson (guitar) and Carl Morten Iversen (bass). On ´Standard´ they are rendering well-known tunes such as ´Polkadots and Moonbeams´, ´Funkallero´ and others, as well as several originals by Eberson. An utmost original debut from 3 young musicians exploring totally new grounds, combining improvisation with loops and sampling. 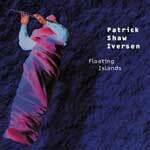 Storaas pulls of another vast album, lauded by critics! 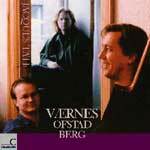 With: Vigleik Storaas - piano, Per Oddvar Johansen - drums and Johannes Eick - bass. 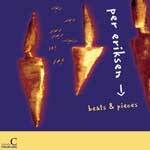 Typically west coast fusion filtered through to remarkable composers and players from the southern coast of Norway. Beautiful melodies, groovy playing. 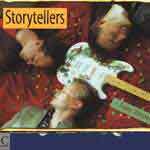 With Anders Jormin on bass and Svante Henryson on chello. The 3rd. 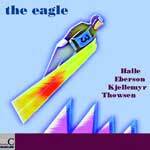 release on Curling Legs from saxophonist Morten Halle and guitar-veteran Jon Eberson. 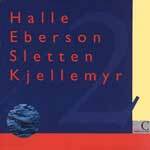 Hard swinging and original modern jazz from a great quartet that includes Aslak Hartberg on bass and Pål Thowsen on drums. Elin Synnøve Bråthen with her 2nd release. Irish inspired pop from this excellent singer/songwriter. Fantastic and innovative trio playing original compostions and standards. The debut-recording from one of Denmarks best young bands. Modern jazz and fusion. Beautiful arrangements and playing in the typical nordic style. 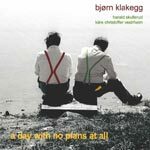 Recorded in Rainbow studios by Jan Erik Kongshaug. 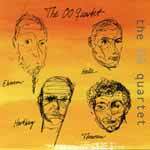 Acoustic and electric modern jazz, played by four very strongminded musicians. 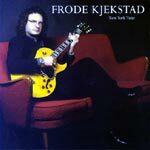 Guitar equilibrist Frode Kjeksatd with his 2nd solo-release on Curling Legs. 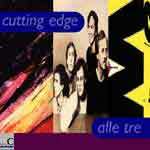 Along with Alberto Marsico (organ) & Enzo Zirilli (drums) Kjekstad explores the classic guitar-trioformat. Some fantastic guitar playing from a true master of the instrument. 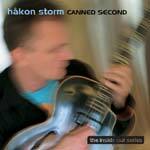 One of the most dedicated and hard-working guitarist in Norway with his first CD on Curling Legs. Christmas carols with a host of guest artists. Played in the most hilarious fashion, combining straight ahead arrangements and the freeform thinking of Ornette Coleman. Totally crazy and very laugh-provoking. Modern jazz by four international artists redefining the classic quartet setting. 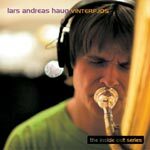 Debut album from saxophonist Torbjørn Sletta Jacobsen. Great compositions and great interpretation by a well-playing ensemble. 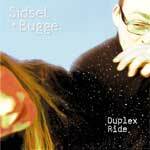 Modern pop/rock/jazz beatifully played and produced by one of Norway's leading groups. Very inventive guitar playing. Lyrics by English poet Fran Landesman. 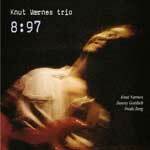 A vigorous jazzrock album from the still young veteran-guitarist Knut Værnes. «Ukjend by» er en av tekstene skrevet av Stein Versto fra Vinje som Espen Rud tonsatte og fremførte under jubileumskonserten for Arendal Jazzklubb i 2012. Et flott ensemble med strålende solister og med de samme musikerne med tillegg av Knut Riisnæs. Tekstene, korte, lekende og flere mer episke i formen, er skrevet i Verstos egen målform – den vakre Vest-Telemark dialekten. Diktene gir rom for flere musikalske uttrykk og dette har komponisten/Espen satt i et klart jazzrelatert perspektiv hvor improvisasjoner, tekster og melodier står side om side. To dikt av Brynjulf Bjørklid fra Tromsø/Oslo har også Espen tonsatt. Disse er også innspilt på CDen «Ukjend by» som presenteres på Herr Nilsen. Alt er innspilt februar i år i Rainbow Studio ved Jan Erik Kongshaug. Alle gode ting er 3: Et julehefte, en vinylsingle og godt besøkte konserter i Norges 2 største byer. Alle gode ting er også 33: Ung Pike Forsvunnet byr seg igjen fram, 33 år etter oppstarten. Anledningen er et unikt samarbeid mellom Oslobandet og Bergens fremste privatetterforsker Varg Veum. 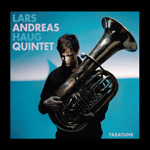 Tuba player Lars Andreas Haug in frontline of his own compositions and a strong band containing amongst others Mats Eilertsen (bass), Per Oddvar Johansen (dr) and Trygve Seim (sax). Four young women singing their hearts out. 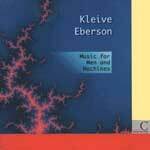 From (almost) barbershop to totally free-form improvisations. All a-capella. An amazing singel by singer / songwriter Siv MArit. On Curling Legs´alterego: POPDIVISION. Check out Siv Marit here..
" In this project, we have indulged in the songs from the musical West Side Story, with music by Leonard Bernstein and libretto by Stephen Sondheim. The musical, from 1957, addresses themes like migration, ethnic tensions, poverty, identity, honor, dignity and love without judgment, themes that are at stake even today. We have played with the songs and put our own marks on them, inspired by the clear rhythmic orientation in the originals. The underlying drama in the story is kept at a cool distance. 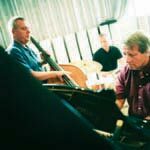 In our retelling of West Side Story, we have avoided caricatures and dramatic devices, and instead embraced the musical material with our intimate and improvised jazz expression. Along with the hope that there, “somewhere and somehow”, will be a safe place for every human being." 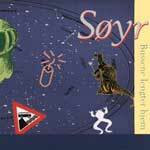 Singer and composer Live Foyn Friis expandsher musical unverse with this gem of a recording. 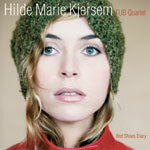 Music written the last couple of years performed live with her band and a string quartet. The srings sets her songs in a new perspective and and confirms the artistic talent of this incredible artist. With Denmark as her home base the last years, she is currently conquering Europe. Read more on her homepage.